Alaska Governor Sarah Palin charged the state per diem costs for apperances on television and phone calls, expense reports reveal. Alaska Governor and also-ran vice-presidential candidate Sarah Palin charged taxpayers for television interviews, phone calls and photos, newly released per diem reports published today by the Anchorage Daily News reveal. Palin came under fire Wednesday after it was revealed that she owes back taxes on nearly $17,000 she was given in reimbursements during her first year and a half in office. The latest hit to taxpayers? How Palin spent the dough she's charging Alaska for. The pitbull in lipstick billed taxpayers $60 per diem for a Nov. 9 interview with Fox News, a Nov. 26 phone call with Gov. Rendell of Pennsylvania, and a Nov. 21 phone call with Sen. Elizabeth Dole, the per diem expense reports show. 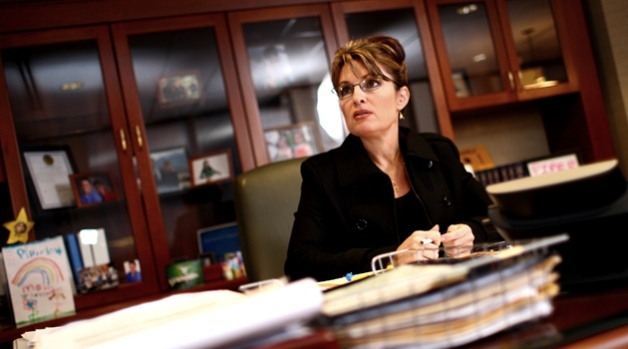 Palin also filed expenses amounting to $60 for interviews with radio stations in Alaska and Illinois and a photoshoot with the University of Alaska-Anchorage men's and women's sports teams. The country's most famous hockey mom stayed in resorts like the Mandarin Oriental and the Ritz-Carlton during November and December, expenses show. Palin's annual gubernatorial salary is $125,000.